While the intention of the Talk Clean To Me blog is to talk or rant (in what I hope is in an educational way) on topics related to cleaning and disinfection, there are times when I feel the need to go off the reservation so to speak. 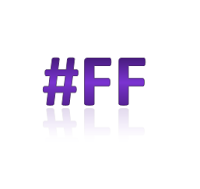 The concept of #FF (Follow Friday) is to share what is essentially a Twitter holiday with the aim of getting people to follow one another through personal recommendations along with a genuine reason for your recommendation. If you’ve followed Talk Clean To Me you’ll know that I generally do a #FF every month or so when the feeling strikes or when I’ve found something worthy of sharing. This week I have 2 recommendations – neither of which are related to cleaning and disinfection but to healthcare. Perhaps it’s because I’m having a melancholy week thinking of a cousin who suddenly lost her loved one that this recommendation has hit particularly close to home. A video titled “The Difference Between Care and Caring” produced and shared by the Royal Alexandra Hospital Foundation in Edmonton, Alberta Canada has gone viral. As the video describes – “At a time of increased demands on our healthcare system and healthcare providers, ensuring that each and every patient and their family members are provided with compassionate care is a massive goal, but one that the staff at the Royal Alexandra Hospital are pursuing every day.” It’s a beautiful tribute to love and the impact that healthcare providers can have on the lives of their patients and how connecting a few simple dots can lead to such a meaningful and touching moment. Congratulations to everyone at the Royal Alex! The second recommendation is at the opposite end of the scale with the Safety Matters Blog. In an era where hospitals are under scrutiny for healthcare-associated infections or other adverse patient events, Brigham and Women’s Hospital in Boston, Massachusetts puts a different spin on continuous improvement and transparency. Their commitment to safety includes telling their stories about mistakes they have made, what they have learned from them and the improvements they are making as a result. Their hope is that by telling these stories others will learn from their mistakes. What interests me is how they share the stories and what is being done to ensure similar mistakes are not made again. It would be interesting to see what a blog along the same vein, focusing on cleaning and disinfection of environmental surfaces, patient care equipment, medical devices or hand hygiene may look like? Rather than pointing fingers and placing blame, would we uncover what we all know to be true? Would we openly agree that cleaning and disinfection takes time and manpower and that cutting back on either leads to cutting corners which can lead to transmission of HAIs? Would we end up with a blog that transparently talks about break downs in cleaning and disinfection and how through review and investigation, the way to correct this error is to add people and allow more time for cleaning and disinfection? I would love to read someday that the number of housekeeping or medical device reprocessing staff were increased rather than cut! I hope you’ll take a few moments to check these out. If you do, be sure to have Kleenex on hand for the video!